Ever been stuck in traffic on your drive home and wonder whether you could just run home faster. Well, now's your chance to prove it. 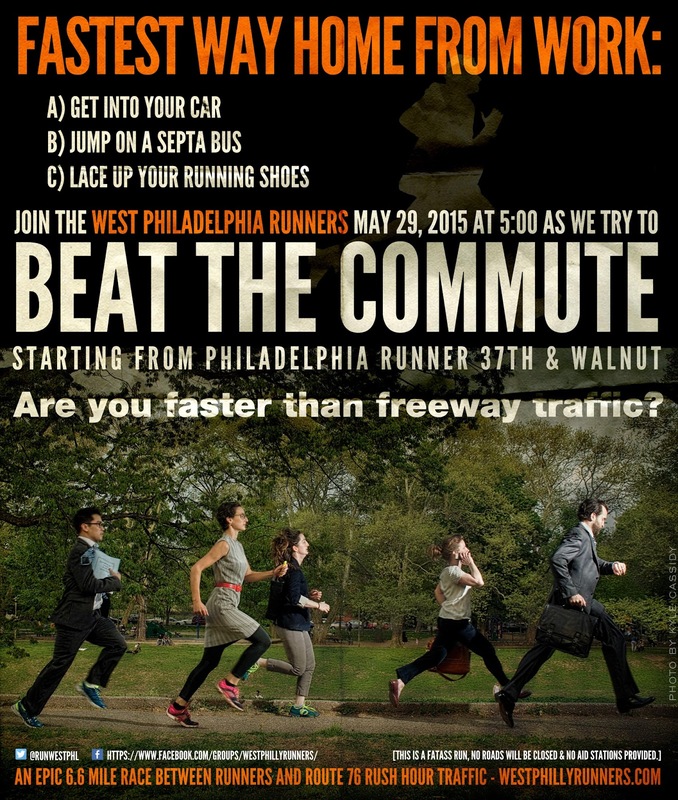 Join West Philly Runners, Philadelphia Runner, and SEPTA as we run against a commuter driving the traffic-clogged I-76 and a public-transit rider. The run will be approximately a 10K (6.6 miles). The runners, driver, and public-transit rider will all begin their commutes at the same place and time. The driver will make her/his way to their parked car, the public transit rider will head to the bus station, and the runners will start their run out to and along the Schuylkill River trail. The race will begin at the Philadelphia Runner store in West Philly (37th and Walnut) and end at the Wissahickon Transportation Center (where the Schuylkill trail meets Ridge Ave). The finish line is the Wissahickon Transportation Center, so all participants (drivers, riders, and runners) must reach that location.